no longer can they speak their words of love. or uncertainty, if you prefer. as a man is laid in his tomb. 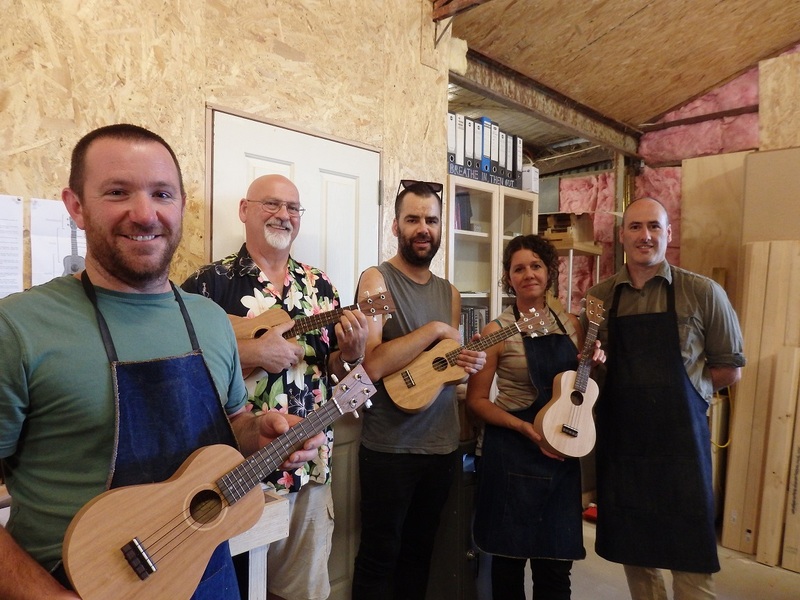 I spent the weekend making a Concert Ukulele with Benedict Stewart, of Castlemaine. Very pleased with the result. A beautiful instrument with a lovely tone. That’s me, in the Hawaiian shirt. Ben Stewart is the one without a Uke. chomping on their grassy tucker. They move at an easy pace. by chasing the offending beasts away. mostly leave the donkeys alone. and prevailed upon to carry a man into the city. all the way to the temple. A few hours later it was all over. and allowed to return to his gentle ruminations. the ruckus had just begun. There is, however, no convenience in death. of where you are standing. Mr Abbott, open your mind before you open your mouth. Describing remote community living as a lifestyle choice again demonstrates that Australian Prime Minister, Tony Abbott, just doesn’t get it. For indigenous people, their remote community is their home. It is their place of belonging, their land, their life. Take them away from that, and their lives are diminished. Many people living in remote communities are still not quite at home. Their family lands have been taken and used by others; and they are forced to live alongside people who may be hostile to them. But it is as close as they are going to get to “home.” We, the dominant culture, have seen to that. Remote communities are inconvenient, and costly. We might hope that they go away. In time some of them most likely will. Our racist attitudes and policies will ensure that this happens. And the people will suffer even more than they do now. Jane and I have chosen to live in a remote community, but it was never a ‘life-style’ choice. The issues of remote communities are complex and multi-layered. In our third year here each day brings new insights, and challenges to our understandings; and we feel we are just beginning. pretending that no one can see us. The light is not our friend. Seductive darkness, brush our cheeks. in the sacred precincts of the temple. and a whip of cords. He seemed to have gotten away with it. outrageously telling it like it was. and gathered together the discarded cords. and waited for the moment.